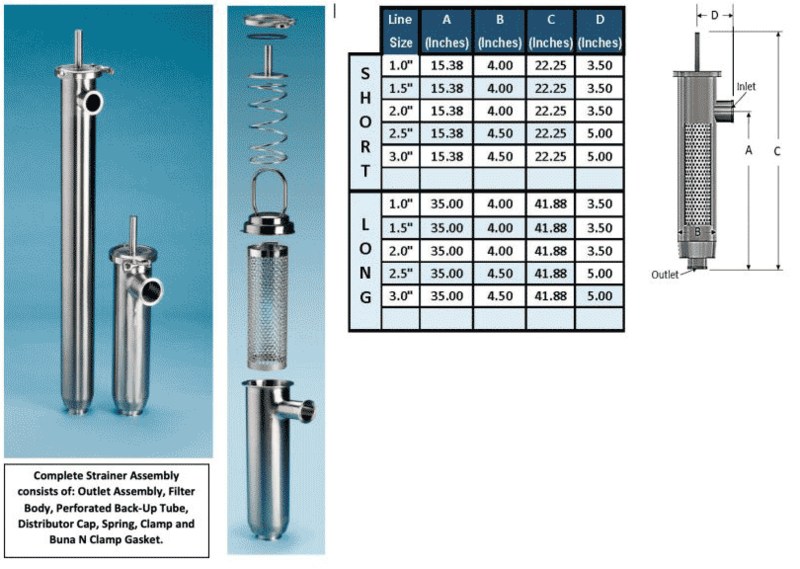 SaniClean Sanitary Strainers are quality crafted– all sanitary 3A construction. 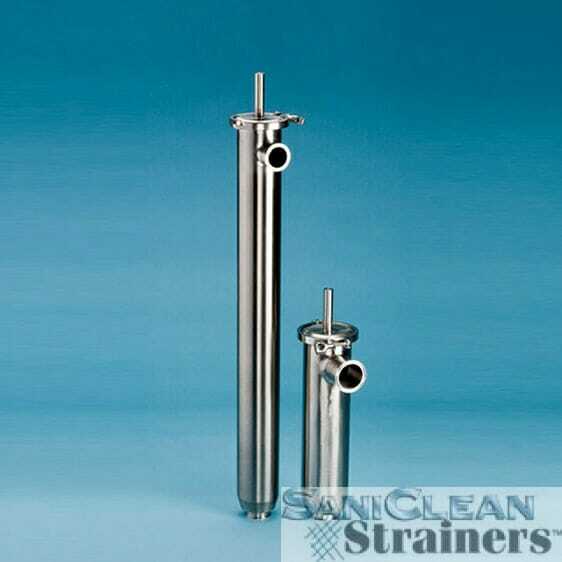 Available in Short and Long models, SaniClean Inline Side Inlet Sanitary Strainers provides efficient, cost effective filtration. Also available in Duplex Arrangements. These strainers accept a wide variety of strainer elements including perforated, wire mesh and SKS OverScreens, SaniWedge WedgeWire and filter socks. Component design permits easy and economical replacement of filter media.